CHARLOTTESVILLE, Va. (AP) — The parents of a missing University of Virginia student said Wednesday they fear she is the victim of “foul play,” and police released two new surveillance videos showing the 18-year-old walking past a pub and, minutes later, running past a service station. Charlottesville Police Chief Timothy Longo said the videos have been extremely helpful as investigators try to piece together what happened to Hannah E. Graham early Saturday morning but said police still need to hear from anyone who might have any information about Graham, no matter how insignificant it might seem. Graham’s friends reported her missing Sunday. They last heard from her Saturday morning, when she texted a friend after leaving a party to say she was lost. Police have searched a wide area northeast and east of the campus without success. Longo said police “don’t have any substantial evidence” supporting fears of foul play, despite the video showing Graham running. She slowed to a walk toward the end of the video, which Longo said indicates she was not being pursued. He said police have received word that another security video shows Graham later running onto the Downtown Mall, a popular seven-block row of shops and restaurants flanking a wide, brick-paved walkway, but investigators had not yet seen the footage. The new videos and an eyewitness’ tip prompted police to canvass downtown businesses Wednesday. A team of detectives went door-to-door at bookstores, bars and restaurants in the hope of recovering more surveillance videos, police Capt. Gary Pleasants said. Longo said Graham met friends for dinner at a restaurant Friday night, dropped by parties at two off-campus housing units, and left the second one alone. She sent several texts, including the one indicating she was lost, but Longo said he “didn’t get the sense there was fear” in any of the messages. He said Graham had been drinking that night. He said police released that information to emphasize that she may have been unusually vulnerable and her judgment may have been impaired. Detective Jim Mooney, the lead investigator, said police have interviewed about 50 people. The search for the student, who was born in England but has lived in Virginia since she was 5, has involved local police, the Virginia State Police, University of Virginia police and the FBI, which is processing leads, Pleasants said. The search has also included canine teams and helicopters. At least three other young women have disappeared in the area in the last five years. Police said there was no indication Graham’s disappearance was linked to any of the other cases, but Mooney said the rural area where Morgan Harrington’s remains were found has been checked just in case. Harrington, a Virginia Tech student, disappeared in 2009 while attending a rock concert at the University of Virginia’s John Paul Jones Arena. No arrests have been made in that case. Graham is 5-foot-11 with blue eyes, light brown hair and freckles. Police released surveillance photos showing Graham dressed in the black slacks and gold and black crop top she was believed to be wearing when she disappeared. Police have established a designated tip line for information on Graham. The number is 434-295-3851. 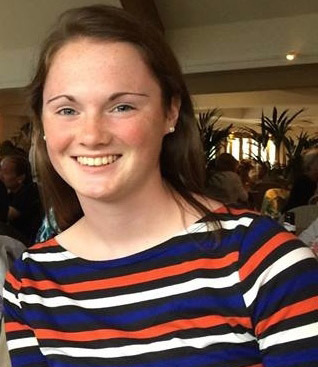 The FBI, the Virginia State Police and other law enforcement agencies have joined the search for missing University of Virginia student Hannah Graham from Alexandria.